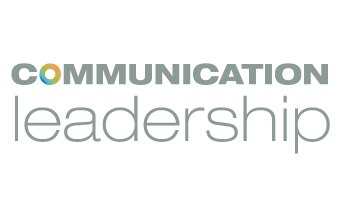 The Communication Leadership graduate program (Comm Lead) at the UW Department of Communication offers a Master of Communication in Digital Media and a Master of Communication in Communities and Networks. Established in 2000, Comm Lead currently serves an incoming class of roughly 60 students and offers between five and nine graduate seminar classes a quarter. Comm Lead is a professionally oriented applied program that attracts students from around the world. Our subject matter is kinetic and therefore requires a fluid, topical mindset when it comes to our faculty. Our instructors are a range of working practitioners and trained academics, each of whom brings expertise that builds credibility with our students. Classes are typically 5 credits, which involves teaching once a week from 6:00 PM to 9:50 PM on the University of Washington main campus. Occasionally faculty will opt to teach every other week from 9:00 AM to 5:00 PM on Saturday, but the majority of classes meet once a week, Monday through Thursday. Classes are capped at 20 students, as low as 16 for production classes. For a full list of our current curriculum please visit our curriculum page. Successful part-time faculty applicants need not be academics, but a graduate degree is preferred. Preference is given to applicants who have a demonstrated expertise in their particular subfield of communication and an established track record in a classroom or in commensurate public speaking environments.